Obama Moves To Protect Planned Parenthood Funding : Shots - Health News The last-minute regulation blocks state agencies from withholding federal funds from the family planning organization. 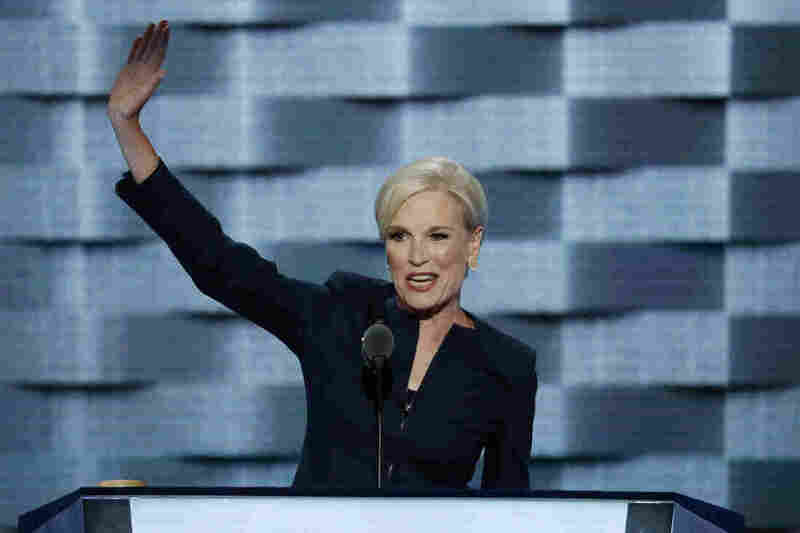 Planned Parenthood's president, Cecile Richards, addresses the Democratic National Convention in July. Republicans in Congress have repeatedly threatened to cut off federal funding for Planned Parenthood because the family planning group performs abortions at some clinics. The Obama administration is trying to protect Planned Parenthood's federal funding before the president turns over the reins of government to Republicans who have historically been hostile to the family planning group. The Department of Health and Human Services finalized a regulation Wednesday that says states that award federally funded grants for women's health programs can't discriminate against Planned Parenthood. The regulation doesn't name Planned Parenthood, but it was clear the rule was written with the organization in mind. Republicans in Congress have repeatedly threatened to cut off federal funding for Planned Parenthood because the family planning group performs abortions at some clinics. "President Obama has cemented his legacy as a champion for women's health," said Planned Parenthood President Cecile Richards in a written release. "This rule protects birth control, cancer screenings, [sexually transmitted infection] testing and treatment and other health care for millions of people." Planned Parenthood and other clinics that provide family planning services to women get federal funding through the Public Health Service Act. The group says 1.5 million of its patients benefit from the money provided by the federal government. Planned Parenthood gets more than $500 million a year from the federal government. About 75 percent of that comes from Medicaid, for medical care provided to patients with low incomes. The new HHS rule reinforces federal law that says the agency cannot discriminate against qualified organizations in granting federal funds. Still, the rule could be overturned in 2017 when President-elect Donald Trump takes office. Federal lawmakers are allowed to roll back regulations under the Congressional Review Act. Or they could go through a formal rule-making process to reverse Wednesday's action.